Located within the Northern Territory, where it has become the capital city, Darwin is a modern and appealing coastal city, close to the Charles Darwin National Park and west of the expansive Conservation Reserve. 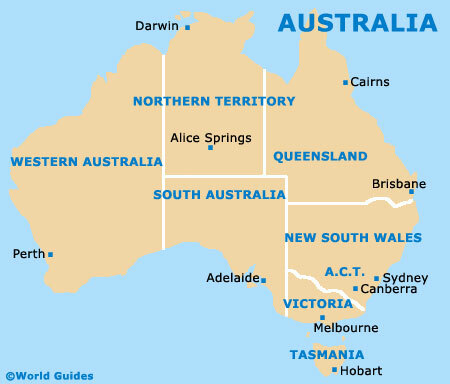 Darwin has around 120,000 residents and although relatively small in size, it is actually the biggest and most densely populated within the North Territory - by far. Much of Darwin boasts excellent harbour views, with its suburban areas spreading out between Berrimah and Lee Point. Nearby, Palmerston is generally considered to be a satellite city of Darwin and is around a 15-minute drive from the actual city centre. 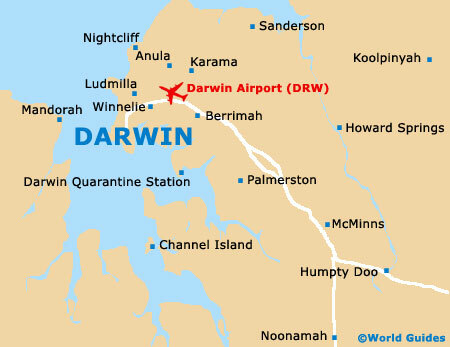 Darwin city centre is a compact area and situated at the end of a long peninsula. Looping the city, the Stuart Highway connects the south-east, becoming Daly Street at the point where it enters the city. Smith Street Mall marks the main shopping district and can be found just a few blocks away, on the south-easterly side of Daly Street, being a good spot for bookstores, maps and travel guides.